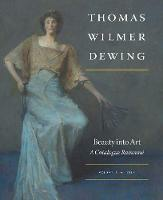 Best known for his interiors and landscapes featuring beautiful women in artful poses and subtly related color harmonies, Thomas Wilmer Dewing (1851–1938) lived and worked at the forefront of developments in modern American art. His paintings, which navigate a course between the bravura of John Singer Sargent and the attenuated aestheticism of James McNeill Whistler, convey a sensuous beauty that remains uniquely his and that represents an exceptional phase in American painting. Featuring a comprehensive biography and engaging, narrative commentaries, this elegant, 2-volume catalogue raisonné is an essential and much-needed reference. 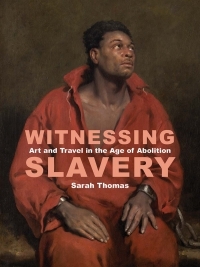 Included here are more than 550 works of art as well as previously unpublished photographs from the artist’s own albums; each work is accompanied by a full provenance, exhibition histories, and literature—both published and archival. Susan A. Hobbs is the director of the Thomas Wilmer Dewing Catalogue Raisonné and former curator of American art at the Smithsonian Museum of American Art and the Freer Gallery of Art.